The Lab for Creative Robotics at the University for Arts and Design Linz (Austria) is looking for a new researcher (50%) to join the team. 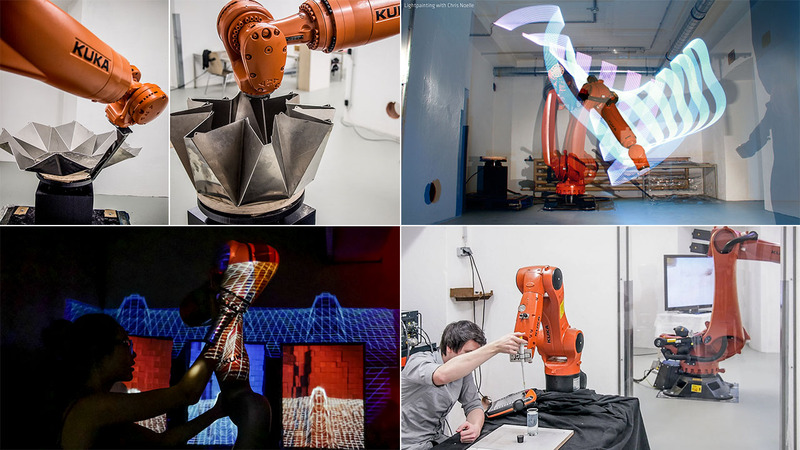 The lab is a collaborative project of the University, with partners Ars Electronica, KUKA Robotics, the Association for Robots in Architecture, Johannes Kepler University and Bernstein Innovation. It is headed by Prof. Johannes Braumann, the main developer of KUKA|prc. We’re looking for people that bring additional, specialized knowledge (such as handcraft, material knowledge, physical computing, geometry, software development, media art, HCI…) to the lab. Robot knowledge is a plus, but not a requirement. You will be part of a small team that is expected to grow over time and will work on a variety of creative and industrial projects. Working hours are flexible. Linz has got a vibrant international digital media/arts scene alongside its “historic” industrial background, that draws in both high-tech companies as well as heavy industry. German knowledge is not a prerequisite, however the official job posting is only available in German at https://ufgonline.ufg.ac.at/ufg_online/wbMitteilungsblaetter.display?pNr=195260 – scroll down to “870”. Note that this is an informal summary of the job posting that is missing the standard legal phrases.